'Feeling Pretty' at Bloomingdales Dubai! We're delighted to again be stocked in the Bloomingdales, Dubai 'Feeling Pretty' pop-up coninciding with the Dubai World Cup on the 26th March. We'll be at the Chelsea Physic Garden Christmas Fair next weekend with a wonderful array of winter warm and woolies as well as a fabulous selection of party pieces - perfect stocking fillers! We're still having to pinch ourselves that Royalty, well acting Royalty, has worn and looked so fantastic in a custom made 'Wishbone'. 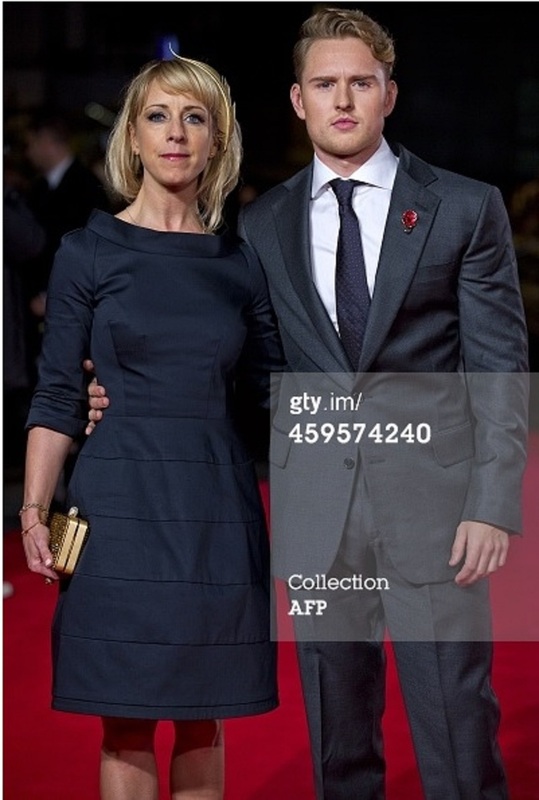 It was a real honour to have the amazing Helen Mirren wear the piece along with a stunning #Suzannah coat to the premiere of Trumbo on Thursday evening. A/W 15-16 collection now ready and waiting for your viewing pleasure! Phew! What a Royal Ascot it's been so far. Some of our highlights to date include the gorgeous Alexandra Roach wearing our Dotty in pink, Carolyn Asome looking amazing in Golden Overtone whilst being interviewed by Gok Wan for Channel 4 Racing but our favourite has to be the piece we made for Hasbro for the launch of the Glamour Glow Rarity My Little Pony (and yes it does flash!!) commisioned by BiteGlobal. All that and we still have 2 days to go! It's only 2 weeks today till Ladies Day at Royal Ascot!!!!! In the early 2000's we were privileged enough to spend some time travelling in the beautiful hill top Kingdom of Nepal and fell in love. Not only has it provided wonderful memories but also proved a source of fantastic inspiration throughout my design career. We are absolutely heartbroken to see the devastation the worst earthquake to befall the country in 80 years has caused to both it's incredible people and it's amazing heritage. Because of this we will be donating 10% of all direct sales made via bespoke orders and from our online shop for this week to the British Red Cross Nepal Appeal. Yes ladies, the suns shining, you've had your first wedding invite of the season and Royal Ascot have published this years style guide - time to start thinking about your hat! With some pieces taking up to six weeks to complete we recommend you start to think about it now as we do get very busy in the run up to Ascot and other race meets. This year will see the 20th running of the Dubai World Cup, March 28, 2015, known as the "world's richest day in racing". So in conjunction with this fantastic event Bloomingdales, Dubai have a one stop pop-up shop for all your racing outfit needs, including Rachel Black hats. A range of pieces from current SS15 and previous collections will be on sale in their special curated one stop race shop until the end of March. A choice selection of our new SS15 collection is now available to purchase at Lovehats.com! Not long now until we reveal our fabulous SS15 collection. Until then here's a sneaky peak at what to expect! Yeh! As of today you can start using your wonderful CHERYL COLE - yes that's CHERYL COLE - 2015 calendar who's wearing Midas and Bunny Go Crazy in August and September - Happy New Year! It's always exciting when a member of the Royal family wears something we've made so we were especially thrilled when as we awoke on Xmas morning HRH Princess Beatrice of York was attending chapel in Sandringham wearing Click in black. Thank you Santa! Our first ever front cover!!! Claudie Blakley joined her husband Ross Anderson on the red carpet alongside Angelina Jolie at the premiere of their new film Unbroken in London's Leicester Square at the end of last month. She wore a 'Kaleidoscope' dress by Suzannah and topped it off with one of our 'Gold Floating Feathers'.